With over 20 years experience, you’re in safe hands with Dr. Tom Donnelly. View his profile below along with that of his implant nurse and treatment co-ordinator Marie Bones. Should you have any questions, please get in touch here and we’ll be happy to help. Dr Tom Donnelly is a well-respected Dentist and very experienced in dental implantology. He earned his Certificate in Dental Implantology in 1997 and has attended many courses to keep at the forefront of the profession. His focus is to give his patients the highest quality of care and attention whilst creating beautiful and functional smiles. To further this goal he is one of a few dentists who has gained the prestigious MSc in Dental Implantology from Bristol University. In 2016 he was honoured to be awarded the DENTIST OF THE YEAR AWARD. This was judged by his peers and looked at his further education and treatments. To enable him to give a gold standard service he has invested in a CT Scanner so that he can gather all the information needed to enable you to have the best possible answer to your individual dental needs. Colleagues in the surrounding area are happy to refer their patients to him for implant treatments and he is happy to help them with their future development too. 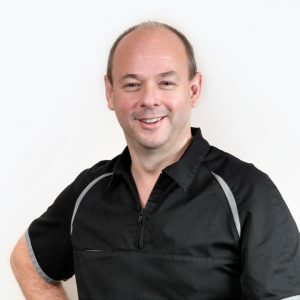 Tom is passionate about all aspects of dentistry so he keeps up to date with developments in cosmetic procedures so that they can all come together to give you the best outcome. Marie is Dr Tom’s implant nurse and treatment co-ordinator. She has been with Tom since 1995 and is a fountain of knowledge about all things dental. As she has been with Tom since he placed the first Implant she has been fascinated with implantology. 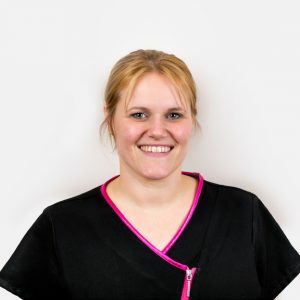 Marie will take you though the procedures and discuss any queries you have to make sure you are comfortable with your treatment plan. She can also discuss the cosmetic and aesthetic procedures that will take place complete your smile as well as the implants.